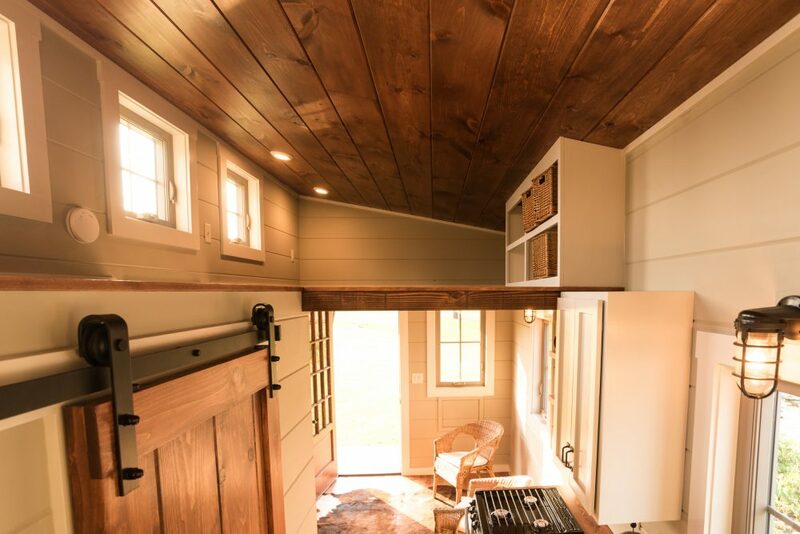 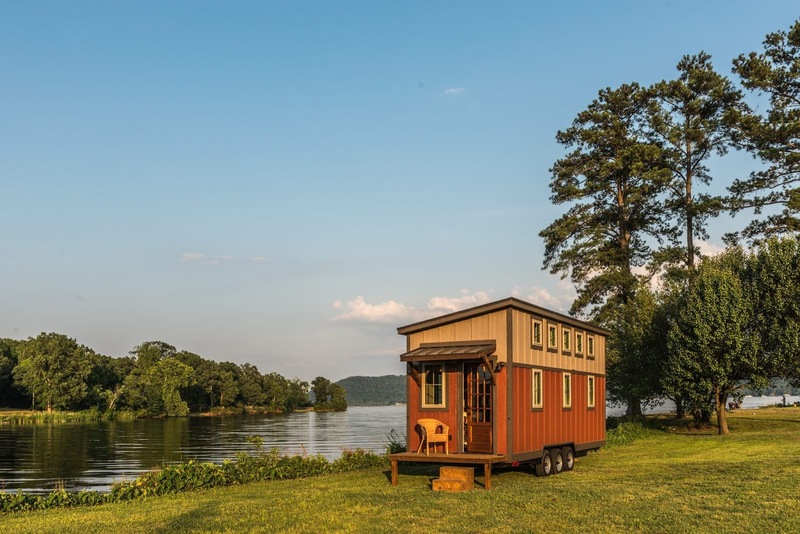 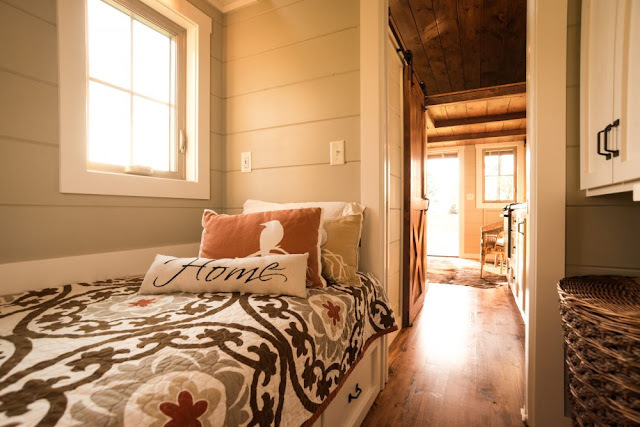 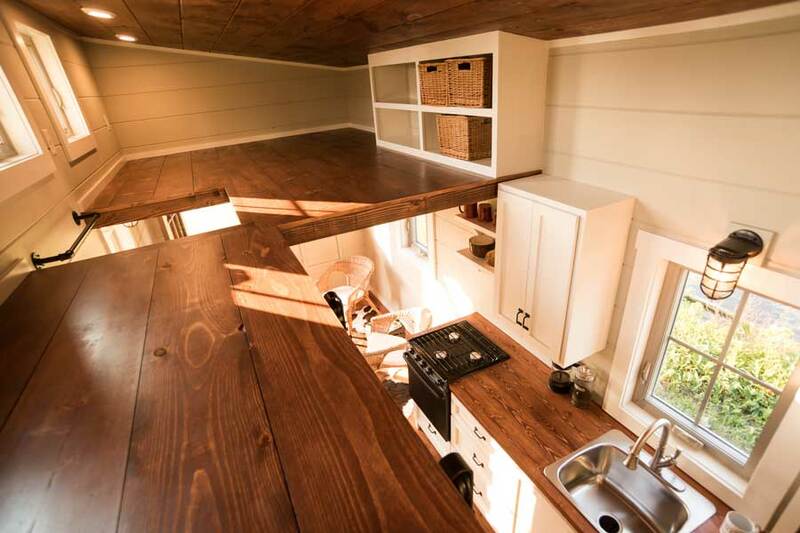 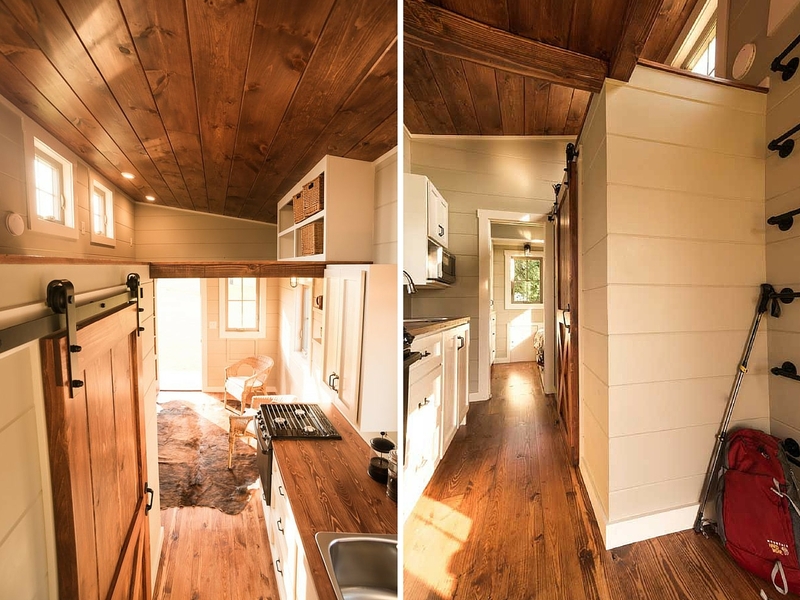 The Boxcar from Timbercraft Tiny Homes of Guntersville, Alabama. 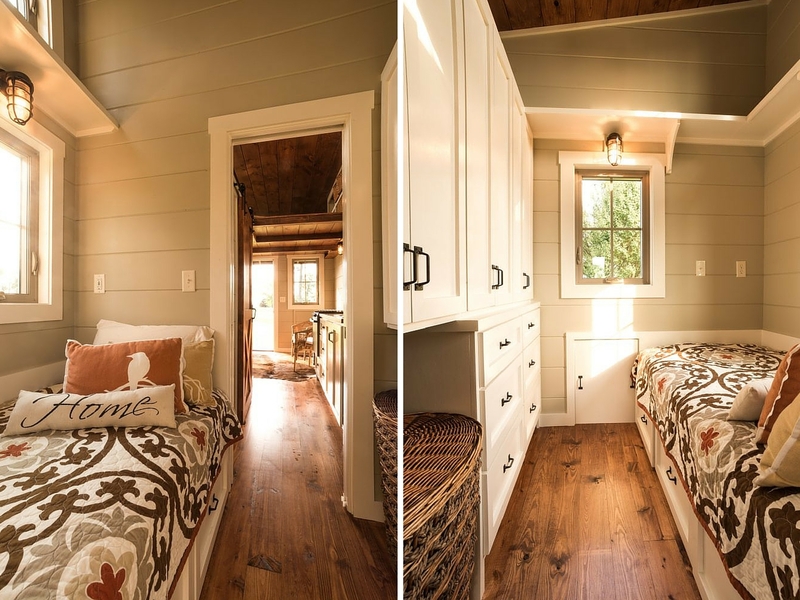 A stunning tiny house with a nice farmhouse-inspired exterior and a warm, wood interior. The home features a full kitchen, bathroom, living room area, and two lofts. 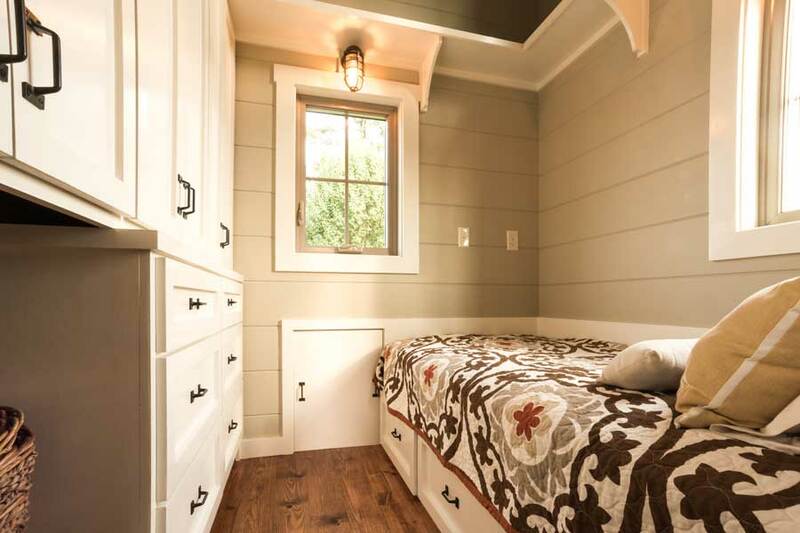 There’s also a ground floor room you could use as a bedroom, guest room, or home office. 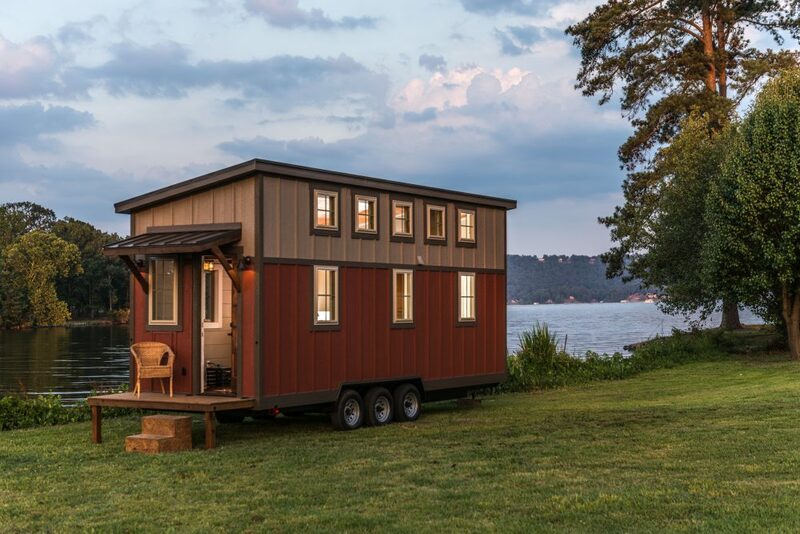 An 8’ x 20’ model of the Boxcar (160 sq ft) starts at $44,000, with price varying depending on size, specifications and finishing touched.